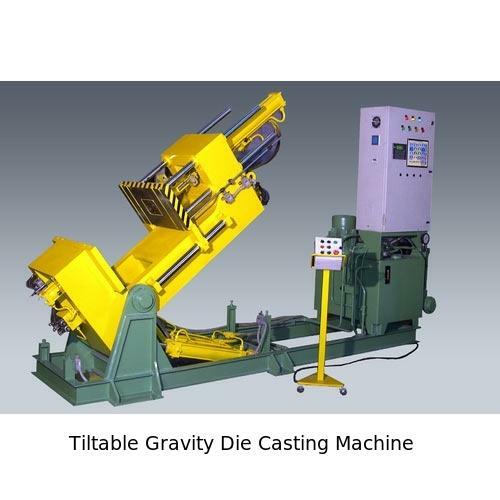 We are engaged in manufacturing wide range of Tiltable Gravity Die Casting Machine. This is used in providing better finishes to metals like aluminium, zinc and copper. Our Die casting machines finds applications in various industries like Telecommunication, Automotive, Machine Tools plants and many more. These are appreciated for the properties like dimensional accuracy, low maintenance costs & stress proof design. All die casting machines are provided with the furnace, transfer tube and enclosed chamber. High capacity die casting machines are provided with the extra arrangements.